Streaming video services are becoming more and more prevalent as consumers take to mobile devices as their go-to viewer for network media. The days of mobile TV content being piggy-backed of traditional cable packages are quickly coming to an end. Netflix, Sling TV and PlayStation Vue (just to name a few) have gained ground with customers who want on-the-go access without the commitment of bulky packages that end up costing an arm and a leg after the first year. Last month, AT&T hopped on the bandwagon with the launch of DirecTV Now. 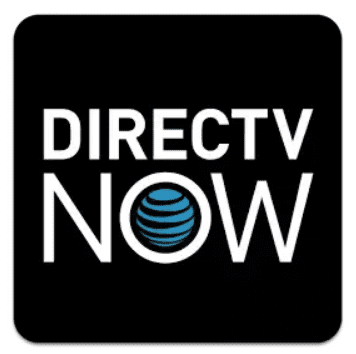 Just days later they have announced that the DirecTV Now app for Android now supports casting to your Chromecast and cast-enabled devices. To cast from your Android device simply open the DirecTV Now application, find the show you’re looking for and click the cast icon in the top right corner of the video. You will be greeted with a list of available cast-enabled devices. Pick the device you want and voila. You’re all set. The streaming service offers a number of packages ranging from $35 to $70. They even offer HBO and Cinemax add-ons for $5 each. The third tier package, Go Big, gets you 100+ live network channels and is regularly priced at $60. Early adopters can grab this package for the introductory price of $35. According to the fine print, signing up early will lock in this price indefinitely so long as you do not change or cancel your subscription at any point. You can try out DirecTV Now for 7 days for free. The trial offer will require a credit card or PayPal info but you will not be charged if you cancel before the 7th day. The service is currently available for a number of platforms listed here. Casting support for iOS is listed as “coming soon” on the Direct TV FAQ page. I tried out the DirecTV Now app on my Nexus 6P and can say it works very well. However, when I attempted to watch content on my Acer Chromebook 14 I was met with this incompatibility page. I was a bit frustrated as the message clearly states Chrome 50+. So, I dug around a little and found that the streaming service requires Microsoft Silverlight. For those unfamiliar, Silverlight is an application framework plug-in that assists in rendering interactive media in your browser. Unfortunately, Silverlight and Chrome OS do not play well together. Actually, they don’t play together at all. So, if you’re planning on joining the DirecTV revolution you will have to do it apart from Chrome OS, for now at least.